OutlookAttachView scans all messages stored in your Outlook profile and displays the list of all attached files that it finds. You can easily select one or more attachments and save all of them into the desired folder, as well as delete unwanted large attachments that take too much disk space in your mailbox. A list of the contents can also be exported to XML, HTML, CSV or text file. Functional with PST files that are not in your profile. A 64-bit version (only for use with Outlook 2010 64-bit) is available. How to extract: Download the ZIP package and extract to a folder of your choice. Launch OutlookAttachView.exe. You can now select the desired folder to scan or to skip from a combo-box ('Mailbox Scan Options' window). This is a great tool. Sure, Outlook can sort or search for e-mails by attachment, but I don't think it can do this across multiple mailboxes. At work I have my own mailbox but need to access several shared inboxes. When contacts assure me they sent something, a default search in OutlookAttachView looks through every mailbox I have access to, and blindingly fast to boot. If you have had an end user get mailbox is full notices and they have done EVERYTHING.. This is a great tool to show them that all items are can have attachments. Even their calendar items. Meeting invites are often sent with attachments such a agendas in word format, Power Point presentations and even the occasional picture file. This application scans them and finds them ALL. It has saved my first call resolutions stats. I love this program. Took me a little bit to figure out how to filter by user (it seems to be visible name, not email address), but it's not hard to use and it's extremely powerful. 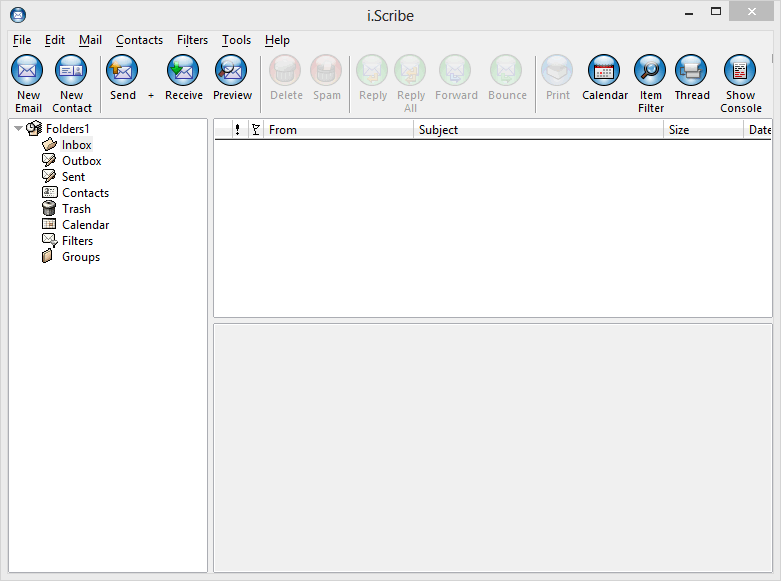 i.Scribe is an email client with an integrated contact database and calendar, supporting SMTP, POP3 and IMAP4. Security features include Bayesian spam filter, HTML controls and attachment protection. Cross-platform with clients available for Mac and Linux. Note that the program is limited to one email account and 5 user-defined filters, which are available in it's commercial version. How to extract: Download the installer and "install" to a folder of your choice. Launch Scribe.exe. i.Scribe Free only support one (1) mail account. I tried zo use I.Scribe vie Imap with my Mailbox. Unfortunately the Imap functionality of I-Scribethis seems to be completely not in a good sape. The performance when synchronizing folder or moving/deleting Emails is very, very slow. Could it be I am making anything wrong or the actual build has some bugs? @Falaffel: I'm not an i.Scribe user so you probably want to try contacting support about that. Failing that, you might try listing something in our troubleshooting forums to see if someone has run into a similar issue. jaBuT (just another Backup Tool) Backup is an easy, flexible, powerful backup and synchronization program. It supports different processing modes including copy, move and compress with and without file comparison, as well as mirror and sync. The program includes exclusion/inclusion of processed data, a variety of profile options, scheduled execution and a variety of file comparison options. Supports batch processing, GUI customization, rich tray control, the command-line options and more. How to extract: Download the "Portable" ZIP package and extract to a folder of your choice. Launch jaBuT.exe. Anyway, just heeded your tip, and blasted the last offending repeater to smithereens ! jaBuT Backup is now 32 bit and 64 bit due to some licence changes. EagleGet helps create an easy-to-use, all-in-one method for downloads via the web including popular online audio and video sites or streams. The program includes speed limits, scheduling, proxy controls and the ability to pause, resume and categorize your downloads. 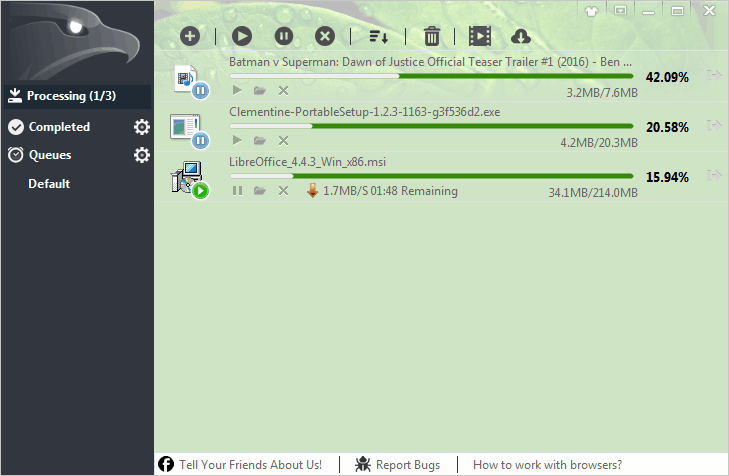 It can be integrated to a variety of web browsers and uses a variety of tricks to try and boost your download speed. Supports HTTP, HTTPS, FTP, MMS and RTSP protocols and works with Chrome, IE, Firefox, Opera and Maxthon. Stealth: ? No. Writes to HKCU\Software\EagleGet unless auto-update check is disabled as in extract instructions and key is deleted. How to extract: Download the "Portable" ZIP package and extract to a folder of your choice. Launch EagleGet.exe. Note that the program will launch a browser at startup. EagleGet 2.0.4.60 is the last clean version without lum_sdk32.dll / Luminati SDK malware bundled. Even the portable version of the newest EagleGet 2.0.4.70 comes with a malicious .dll file which allows user computers to act as a botnet. A botnet is a number of Internet-connected devices, each of which is running one or more bots. Botnets can be used to perform distributed denial-of-service attack (DDoS attack), steal data, send spam, and allows the attacker to access the device and its connection. Luminati SDK is a part of the Luminati Network, a company that bundles and monetize legit software with ads. @Diskatom: They have removed the Luminati DLL as of v2.0.4.80 (my download of v2.0.4.90 was clean, and the decision is now mentioned at the bottom of the forum post you linked). Nevertheless, the new version 2.0.4.90 comes with a ad-banner so this should be considered adware and not free & clean anymore. 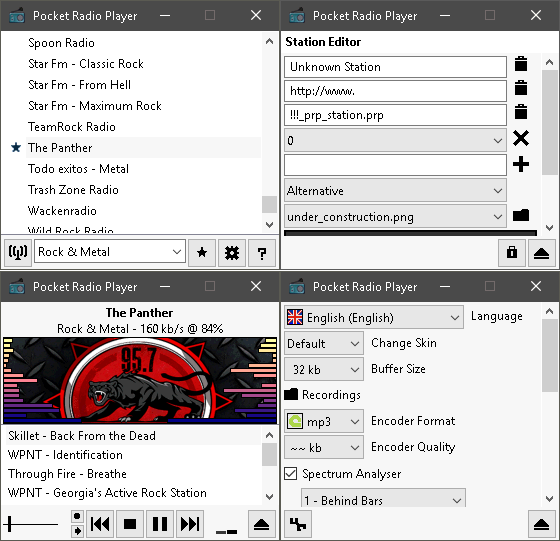 Pocket Radio Player is a lightweight, skinnable and customizable internet radio client. The program supports Shoutcast and IceCast with station editor, updater and recent songs and stations listing. How to extract: Download the ZIP package and extract to a folder of your choice. Launch prp.exe. Pocket Radio Player does not work on windows XP anymore with version 180203. UPDATE: v180204 is out and every problem with windows XP is fixed! Could you please visit the forum thread here and check, if this one works for you too?